What to Wear to A Muslim Wedding Event? If you are looking to make an impression at the next wedding you are attending, then take a look at some of these fashion jalabiyas I came across recently. 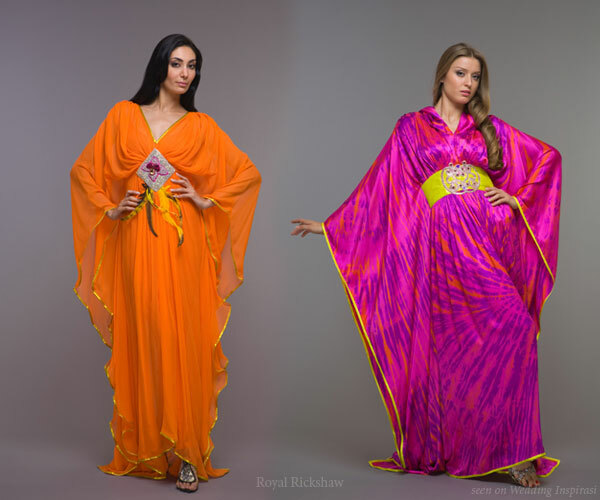 These designs are perfect outfits for a bride's henna party, or an all-women pre-bridal party. 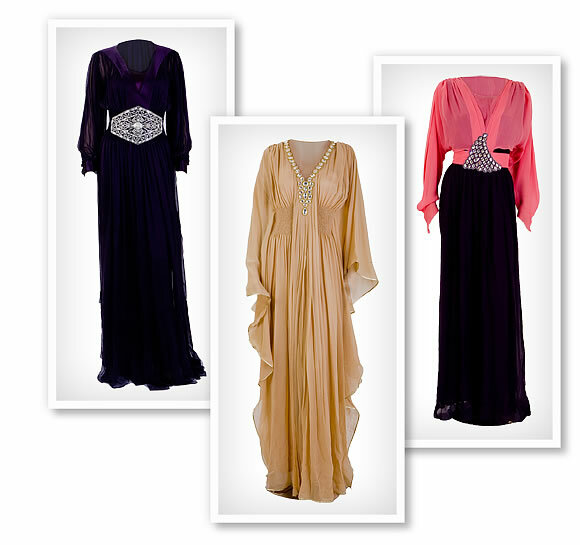 Elements of a perfect dress include: comfort, style, modesty and the wow factor. I think the designs below carry all of the above elements, which is why I am quite excited by them. 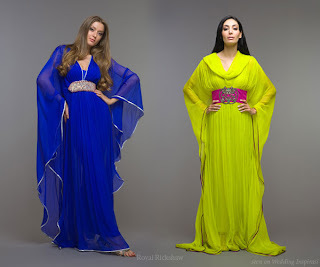 The designs are by Dubai-based designer Rajiv Nihalani. The designs are modeled on the Moroccan kaftan. They are available from Royal Rickshaw. But the price tags is quite hefty. how much the jalabiya yellow & brown colour?? i'm staying in malaysia, how much all the total if need to courier to me? ?